I will admit it, I have some major issues. One, being that I might be just a little obsessed with my classroom decor. The other is, this obsession leads to hours of online and in store shopping for that very room. I've been out of school for two weeks and I know I've spent 20 hours searching for digital paper I find acceptable for making signs for my room. I still haven't found any. I also hit a scrapbook store, Michaels, and Walmart. So I guess Hobby Lobby will be getting a visit this week. Yes...Issues! I know. This is what it's like shopping with Landon. Drew is also under a garbage can. They were pretty happy with their IKEA purchases as well. I'm also working on a little organizational project this summer. I'm starting with the beginning of the year and creating a binder for each quarter. In it I will separate each weeks lessons, ideas, etc. I pin tons of stuff and then the weeks creep up on me and I totally forget about the cute activity I pinned. For example: I really want to remember the first or second week of school to do Cara's Peacemaker activity, so I took photos from her post and made a sheet of ideas for the lesson. I also printed out her freebie. This way I won't forget to include this in my plans when the time comes. I'll post pictures of my binder and it's contents when I get more completed. 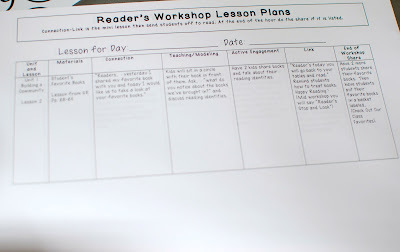 I also already printed my entire first unit of Reader's Workshop plans so I can just take them out, add the date and insert them in my lesson plan binder as needed. Aren't you proud of me? As far as TpT items, my goals are to get a word family fun unit completed for you all. It will be huge, like my Sight Word unit, and will include a years worth of word families/spelling patterns and activities. Big Goals here! I am also going to try to put together a farm unit, as I had lots of requests for my activities last year. If you look at "Page Sizing & Handling you'll see that under size options I have clicked "Fit". You can also hit Shrink oversized pages. There are also an awful lot of graphics on this small document. 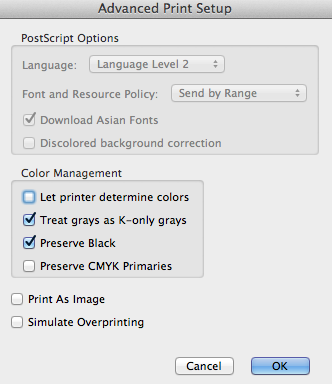 Sometimes this overwhelms printers a bit. Another simple fix to printing this document with ease is to go to print and click the advanced button. 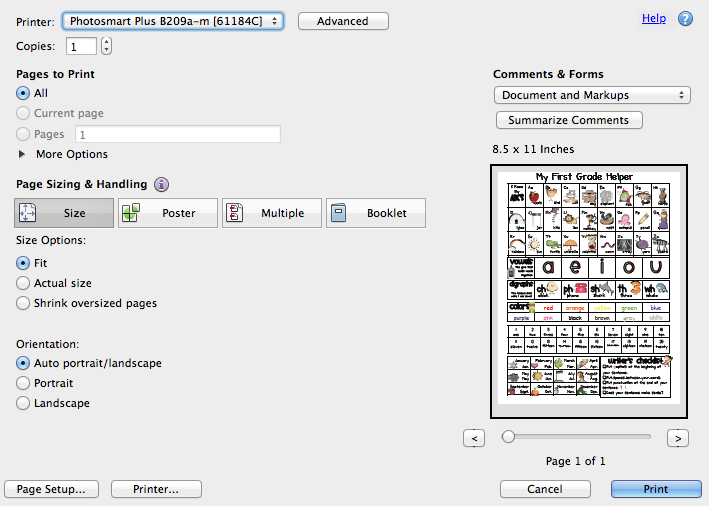 If you simply click the button that says "Print as Image" it will all print perfectly! I hope you love my First Grade Helper. I also have them with Kindergarten and 2nd Grade headers. I made a Canadian Version as well. My students use them constantly! I print them out, laminate them and they are easy for my students to pull out whenever they need important information. Have a great Monday friends. I'm off to play with my boys! I wish we had an IKEA... I would probably be in trouble though! I have a binder created for ideas I want to incorporate as well. I plan on creating montly binders (odd that we had the same thought!!!) and storing the ideas in each. I will have seperate binders for writing and reading. Where did you get the hanging rainbow paper lanterns/poofs? They are so cheerful and fun! I have never been to Ikea but now you have me intrigued. I need something new for my classroom.... I have the urge for change! What a great organizational idea! I love it! Might have to use that one! Thanks! WOW, you are a busy beaver! Everything looks great! I LOVE your First Grade Helper!! My students use it daily so thank you!!! I'm the same way about my classroom. I've been buying owl stuff for weeks. I love those lanterns. Where did you get them? I also love Ikea but I have to drive to Atlanta for the closest one. It kinda limits my buying. Oh well! Have a fabulous day! Your not the only one! And Ikea forget about it. . . 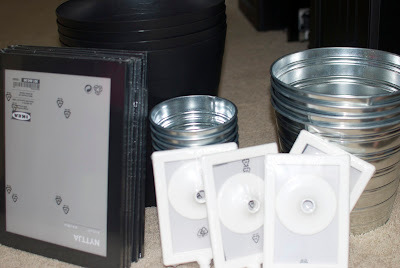 I always come out with stuff and of coure there are always things for my classroom. Ikea is about 30 minutes away from me . . . I little to close ;) Binder organization IS the way to go. I love your idea for lessons you find on blogs and pin. Putting some pictures together etc. is super smart. Can't wait to see your finished product. I too LOVE ikea. Your first grade helper is on my wish list. Where did you get the poms & lanterns? I LOVE them!! 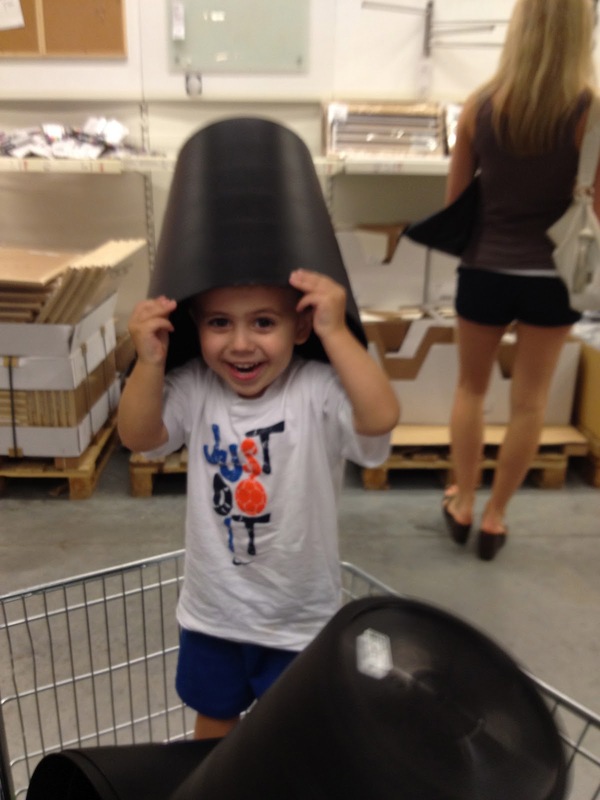 Love IKEA!! I too think I have a problem. I have been decorating my classroom and my house. I think I am going to be broke soon after all the money I have spent to do both. :o) I can not wait to see your finished classroom pics! IKEA also has white, cardboard magazine holders (like 5 for $3) which work great in the classroom to hold individual students books and journal for independant reading time and for separating books by themes or different authors. The students like to decorate them with markers to make them individualized. (The printed ones cost more). The binder idea is genius. I just pinned it and now I'm going to my office to pull out the binders. Love it! 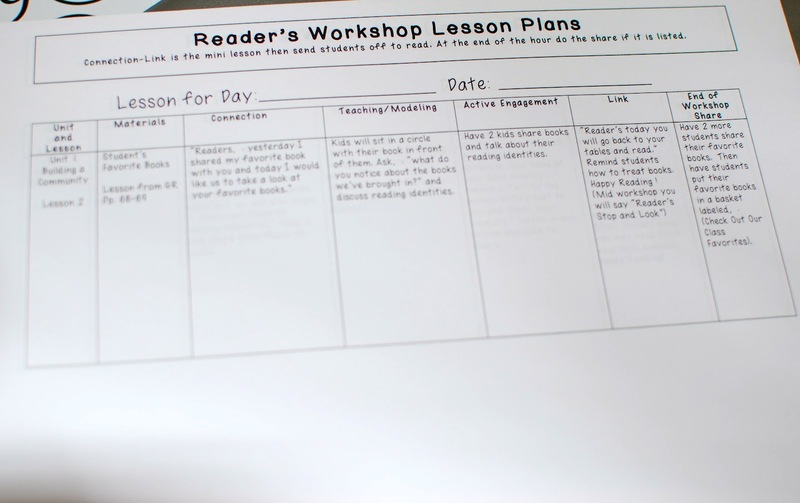 Are your reader's workshop plans/unit something from your district or something you can share? I have a less organized version of what you're doing to organize. 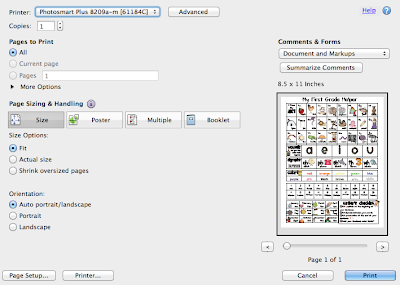 I have started printing screenshots or images/anchor charts of ideas to go along with the units I download or purchase. I like one of your comments about a binder. I may try that...my folders are getting husky. I have a summer trip planned to IKEA! The nearest is about 2hrs away and I have some good ideas. I've been reading your blog for a while but just figured out this Google Friend Connect thing, lol. I'm your newest follower! I did the same thing with binders but my quarter binders turned into 1" monthly binders which I liked better since my quarterly one kept getting bigger and bigger. I love it cuz I have everything I need in one place to take with me.